Ever since I saw the first swatches posted of Nubar's Sparkle Colection, I knew I wanted to buy them. Unfortunately, I didn't pay much attenton to the reviews that went with them so when I ordered the polishes, I didn't order based on what colors had the best quality, just the most visably appealing colors...MISTAKE!!! I had not tried them yet until this challenge came up and I couldn't have imagined a better time to try them out. I wanted to do jagged tips since I had seen so many hunger games fire nails with that look but I tried several times and failed because the polish sticks together and when you pull off the tape, everything omes off with it. Didn't matter if I tried when still wet or when totally dry. I gave up and went with simple tips. Index and pinky are in Sky Sparkel. Love the color but, it went on very thin. It took three more coats to get the same amount of coverage as some of the others. The color, however, is amazing. So if you have the time and and patience, it is worth it in the end. The ring finger is done in Violet Sparkle. This also took a few more coats to get enough coverage and the glitter is a bit more dulled. It also was the only one that had major shrinkage even before the top coat was put on. The middle finger is done in Petunia Sparkle. Great coverage, super blingy. Definitely a keeper. But, the best is saved for last. Now, I know I am a purple-a-holic but Hyancinth Sparkle on the thumb goes on so smooth, amazing coverage in just one coat. No shrinkage. I am in love with this color. Actually, I may use this for one of my next challenges. Absolutely worth the buy!!! And, it was the only one that didn't peel off when I tried to do the jagged tips with tape. I should have just stuck with doing all fingers with hyacinth but at least I could give my opinion for anone else out there looking to buy. I love your glitter tips! The colors are awesome. That's nice,french tips with glitter! Sorry to hear they were a bit of a pain to work with but the result is gorgeous! I think these are pretty as regular French tips. The glitters are intense. Wow, I like your glitter tips! 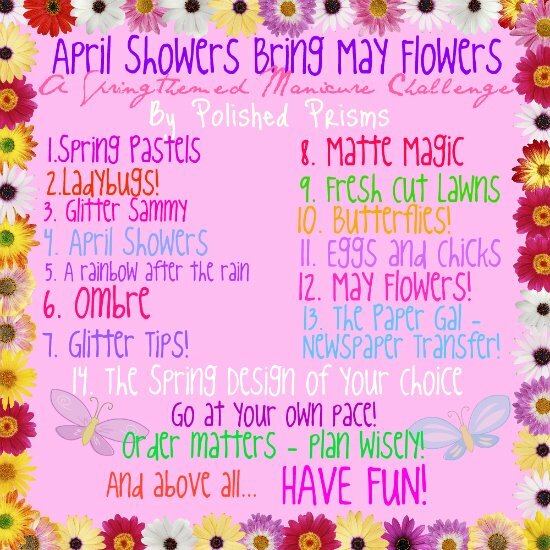 That Hyacinth Sparkle looks really pretty! And your nails look beautiful... I wish mine would look like this. I love the idea to have on each nail an another color, it is an elegant design! Would you like to look up for my blog? We share the same passion for nail art. I would love to read your comments! Love these! 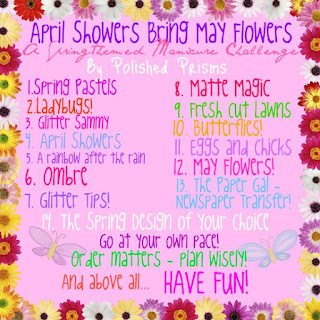 Especially the Petunia Sparkle!